After a successful run of two sold out dates at Brooklyn’s Barclays Center in October 2012, Netherlands based ID&T, in conjunction with Goldenvoice, recently announced the inaugural Sensation U.S. tour. 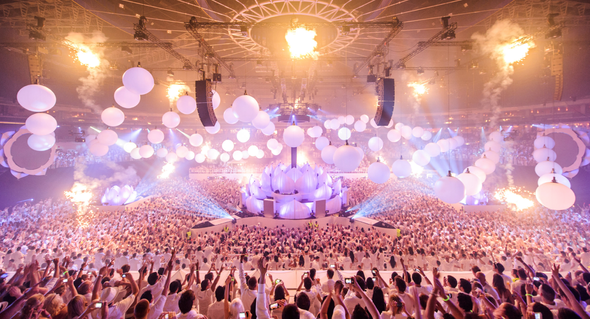 Sensation will take place September 14 at Oracle Arena in Oakland, California; October 4 & 5 at MGM Grand Garden Arena in Las Vegas, Nevada; October 11 & 12 at American Airlines Arena in Miami, Florida and October 25 & 26 at Barclays Center in Brooklyn, New York. 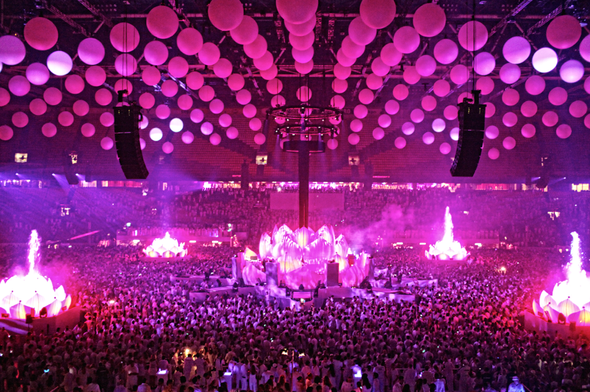 Sensation will present to U.S. audiences “The Ocean Of White,” which premiered in Amsterdam, toured all over the world and performed last weekend in front of 30,000 people at the sold out Rogers Centre in Toronto marking the first Sensation Canada. White has a deep meaning for Sensation. The white dress code was instituted from the beginning as a way to pay tribute to ID&T (the organization behind Sensation) co-founder Miles Stutterheim who passed away in a tragic car accident. Miles’ funeral became a celebration of his life with guests arriving in white and DJs playing music in his memory. From that point on Miles’ brother and ID&T co-founder Duncan Stutterheim vowed to come together every year and throw a party honouring his life. Tickets go on sale June 14, 10AM local time. Check Sensation.com for more info.